It was before lunch when my sister and I bid goodbye to Brasov. 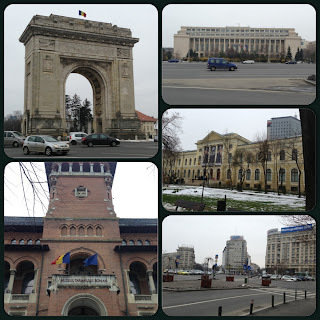 We were headed next to the Romanian capital, Bucharest. It was more than three hours of journey before reaching the city. 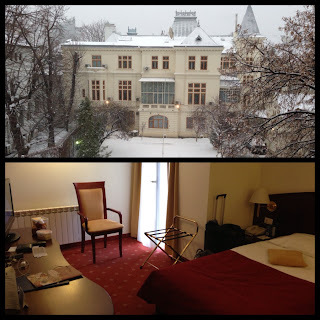 We immediately checked in to Hotel Minerva to rest for a while. It was snowing that time so it was very cold. Our room was quite nice and clean and the view from my window was magnificent. After unpacking some things, we decided to go out and roam the city. Even though it was so cold and the snow was pouring heavily, we still went out to look for the nearest supermarket to buy some foods. The next day, after a quick breakfast inside our room, we checked the city and navigated each of the alleys. I can say that Sibiu is way better than Bucharest in terms of order and cleanliness. 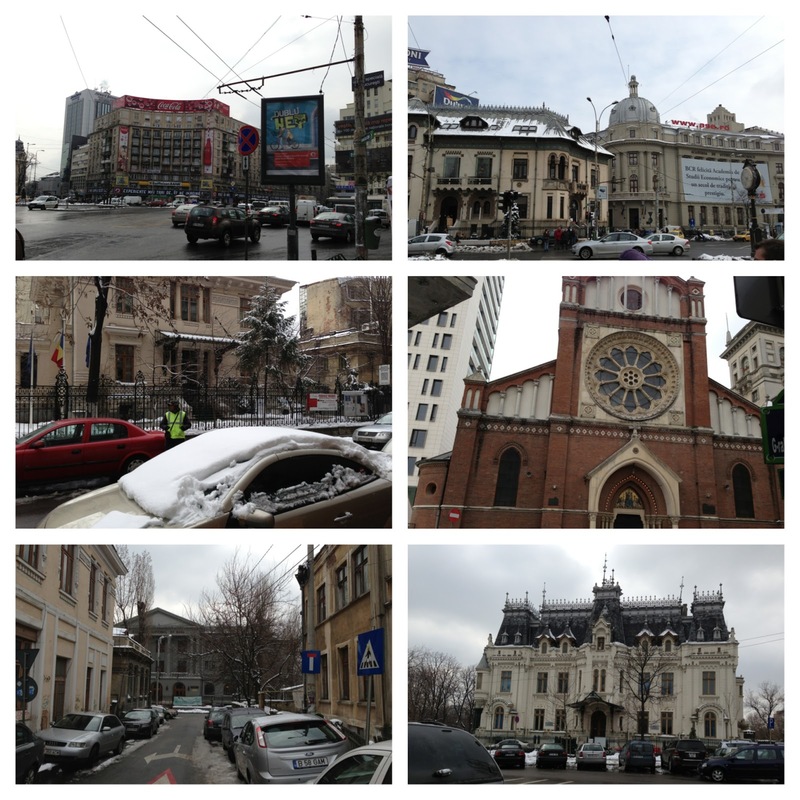 Nevertheless, Bucharest is still an interesting place to explore. We saw some buildings with great style and architecture. The snow did not stop us from walking for almost three hours just to feel the atmosphere of the place. I noticed that there were bakeshops everywhere and the gogoshi became my instant favorite. We also found the Pope John Paull II cathedral and stayed inside for a while. I was glad to see some Filipino products in a store where we bought some items. We came back to hotel to have our lunch and leave some things that we bought. 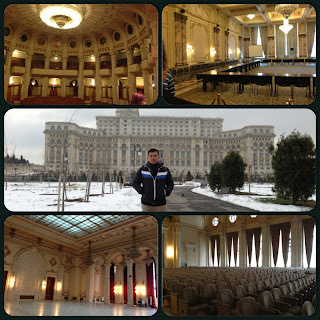 Our next destination was the "Palace of the Parliament" (Palatul Parlamentului). I checked some details on the internet and found out that it is near the Izvor MRT station. One thing I love about Bucharest is their train transportation system. 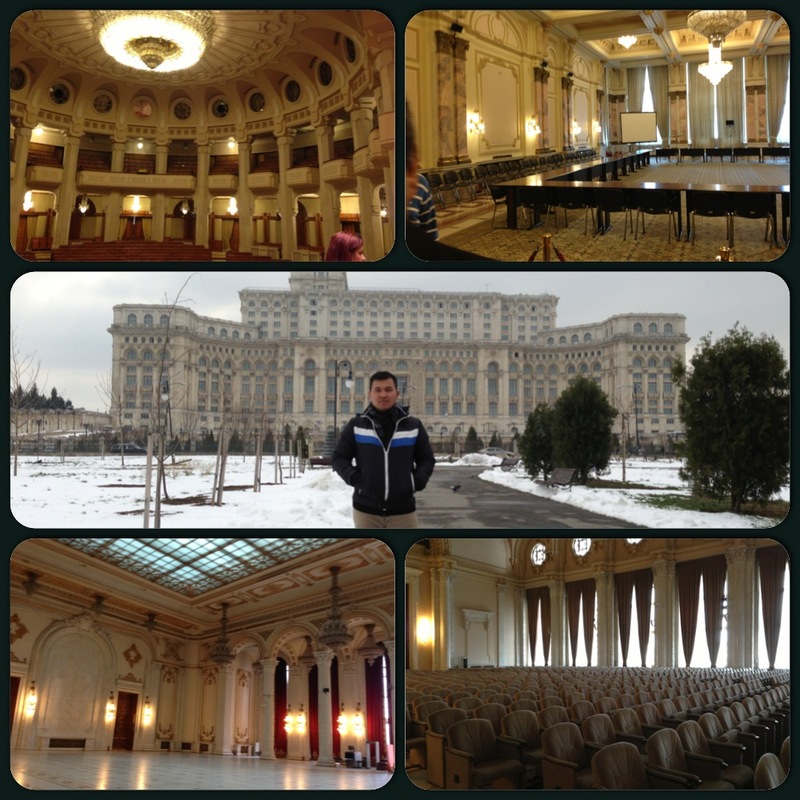 Back to the palace, it is the world's largest civilian building and the heaviest. Once you enter the building, you will notice numerous big chandeliers and big rooms. In 2008, the palace hosted the 20th NATO summit. Some of the rooms use natural light by getting directly from the sun. There was also this one room where a high official stayed who received several death threats so he ordered to stop the air circulation inside the room to ensure that he wouldn't be poisoned. That day didn't end in the palace. We came to this big shopping mall via bus. 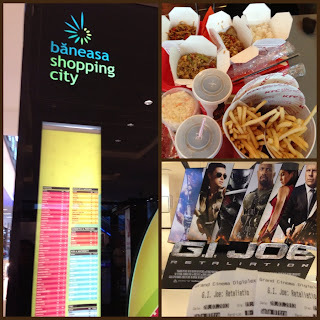 Băneasa Shopping City offers varieties of retail shops and a huge food court. We had our big dinner there and I bought an Adidas shoes. 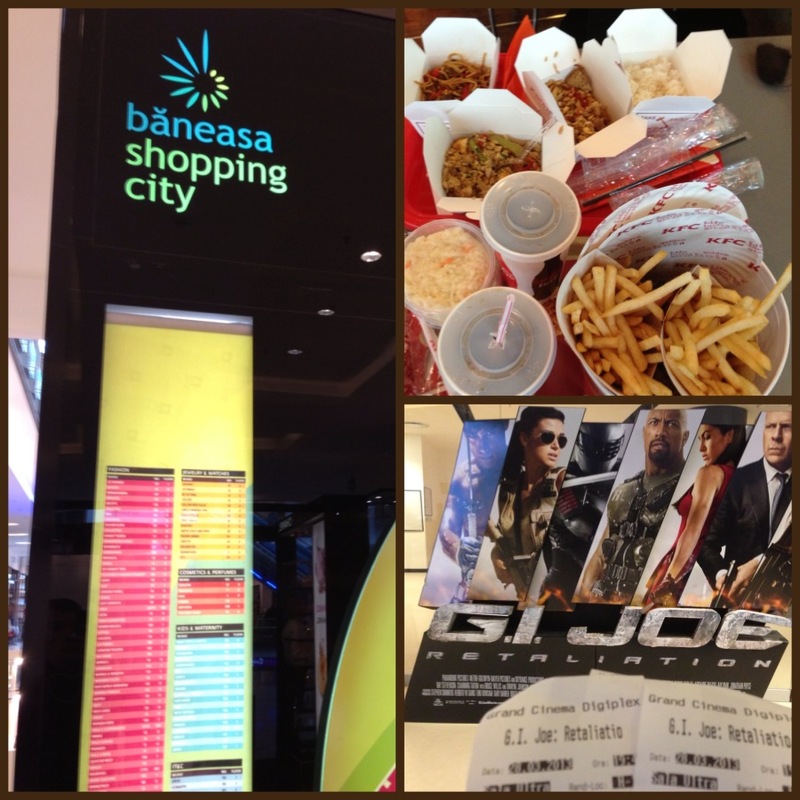 Afterwards, we watched a movie then called it a day. What's Going on Stock Market?